Protesters in Mexico City: Mexican Judiciary and Agriculture Sanitation officials are listening to the protests and to the farmers who don't want Monsanto, and ruling accordingly! With special thanks to Ecowatch and to Reuters for covering this so thoroughly. Monsanto, the GMO giant agrochemical megacorporation, said Mexico's agriculture sanitation authority SENASICA had rescinded its permit to commercialize genetically modified soy in seven states of Tamaulipas, San Luis Potosi, Veracruz, Chiapas, Campeche, Yucatan and Quintana Roo. The company sharply criticized the decision as unjustified, most sharply in the St. Louis newspapers, where their journalistic clout might seem paramount. According to Monsanto, the permit had been withdrawn on unwarranted legal and technical grounds, and threatened that it would take all of the necessary steps to protect its rights and those of farmers using the technology, but did not elaborate. Mexican newspaper Reforma cited a SENASICA document saying the permit was revoked due to the detection of transgenic Monsanto soya in areas where it was not authorized, but Monsanto rejected the argument, claiming the authorities had not analyzed how the soy on which their decision was based was sown. As the largest producer of genetically modified seeds, Monsanto has for decades wanted to grow corn in the birthplace of corn/maize Mexico. It seems to this author that this must be to Monsanto's Board of Directors some kind of symbolic badge of accomplishment to bring GMO corn growing to the birthplace of corn, but the Mexican farmers and now the Mexican Judiciary are having none of it! 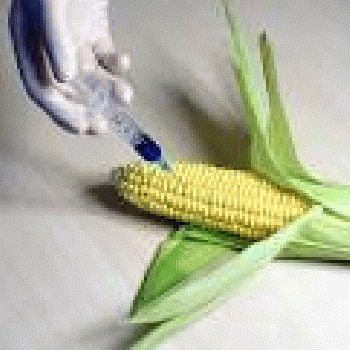 Several years ago, the company submitted two applications for the commercial planting of GMO corn in Mexico. Both sought 700,000 hectares (1.7 million acres) in the northwestern state of Sinaloa, the country's largest corn-producing area. Monsanto's presence in Mexico has a troubled and disturbing history, especially regarding corn, the country's staple crop. The company has long wanted to grow corn in the country that invented corn over millennia of genetic experimentation by indigenous farmers working long before even the Spanish came. CA Exit Polls reveal 23% Discrepancy; 11 States With Vote "Flipping" Evidence; Our New Directions in American History? What does Coca Cola's Dasani bottled water have in common with Death by Lethal Injection? In the California Primary, More Ballots Remain Uncounted than the Total Number of votes for Hillary Clinton!